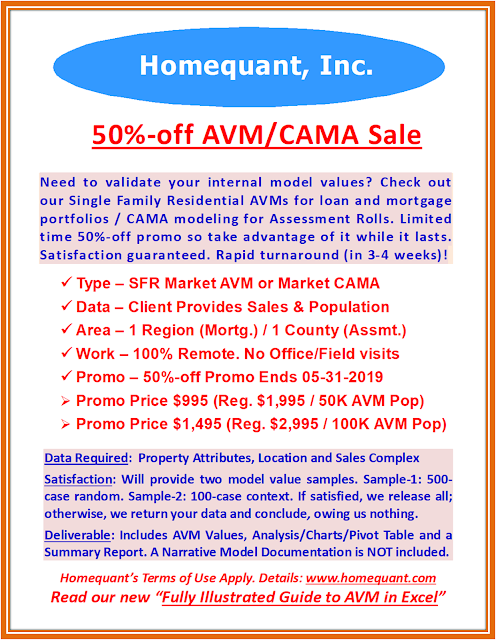 Valuation, Analytics, Modeling and More. Sid Som is the sole owner and publisher of this Blog. You are a small business owner ("you" "owner"). You have been successful in using the web in marketing your services, but the cost of your IT services keeps growing 30-40% each year, despite the much-needed switch to a Cloud platform. You keep hearing how others have been saving a ton by off-shoring web development/maintenance services, leading to all of their IT services. Yes, even smaller outfits have been outsourcing to vendors in emerging countries ("vendor") for a while. And I can anecdotally confirm that a well-researched exercise could save owners some decent money as well. 1. Quality -- When you are dealing with a small vendor, you are essentially dealing with engineers and other technical graduates from 2nd and 3rd-tier (mushrooming and mostly export-oriented) schools. Given this axiom, you are getting significantly lower quality products and services from the get-go. By the time you figure this difference out, it might be a day too late, meaning you might be stuck with them for a while. Have you ever seen a Harvard MBA working for a local butcher? If you ever see one working for the butcher, he is probably developing a global franchise. The point is, do not expect to work with superstars there. Of course, the crooks may use a superstar to close the sale, but nothing more! 3. Time Difference -- It's a huge issue, particularly if you are planning to outsource to Asia. For example, after returning from lunch with a prospective client, you are ready to place a call to your Asian vendor to discuss a few changes to the existing client profile. As you are ready to speed-dial, you realize that its midnight there. Now you have to wait 12 hours to make the call. And, if you happen to hook up with a crook, you are now unimportant to them. Email communication (you'll receive replies once in a while) is the only way out. Though you got an excellent deal while signing up with them, it is now costing you an arm and a leg for each and every simple change you ask for. That's how the crooks operate. If you ever question them about the skyrocketing pricing, you will get tons of mambo jumbo - all structured talks from different sites where crooks of the world unite. 4. Due Diligence -- It's very difficult to conduct any meaningful due diligence of small vendors. While there are many ways to check the standing of a small vendor in the US (from D&B to BBB to Licensing boards to Trade organizations to Chamber of Commerce, etc. ), there is hardly any such reliable source there, making it almost impossible to separate the honest from the crooks. It may so happen that due to change in ownerships, the honest ones are not-so-honest anymore. Moreover, the vast majority of crooks maintain fake references (and fake/shared sites) in the US as well. Clients may not stand by old recommendations either. 5. Hidden Cost of Apps -- In order to identify and separate the real ones from the crooks, you must try to zero in on the real pricing. If the first project entails developing a website, you must ask if the site would be mobile-friendly. Nowadays, most small business sites, including e-commerce sites, are mobile-friendly, without having to develop separate iOS and Android Apps. When a vendor insists on keeping them separate, you must be a bit careful. Often, the crooked vendors offer very attractive pricing on the initial website, followed by exorbitant pricing on the Apps. However, if the separation makes business sense, you must ask for the vertical pricing (site + apps), in writing and upfront (must be valid for at least twelve months), just to be in the know before signing any contract. 6. Update Capability -- All other factors remaining constant, you must also insist on having the full capability and flexibility to update and upload news, data, video, etc. on to your new site. "Send us the changes and we'll take care of it" is a serious red flag. There are no free lunches so you must not walk into this trap. The cooked vendors use this trap to churn owners and it gets exponentially worse over time. Even if the vendor is honest, owners must realize that it's not a workable solution, as no business is all-proactive; they need to promptly and intelligently react to momentum situations as well (this is where the trouble starts, generally resulting from the time difference, frequency of updates, immediate availability of right personnel, etc.). 7. Employee leasing -- And this goes hand in hand with #6 above. Unlike here in the US, most emerging markets do not have clear-cut laws regarding temporary staffing and employee leasing. In order to create a round-the-year income stream, the crooked vendors try to own/retain the update capability. Later, citing frequent and volume updates, they try to promote employee leasing. Needless to say, they package and market the very ordinary kind at the prevailing rate (with fake resumes, etc.) and simultaneously lease them to multiple clients. It is therefore critically important that the owners retain the full update/upload right from the get-go, without which it would be serious trouble - just a matter of time! 8. Local Legal System -- It is not easy to fight the crooks in their own territory; they know all tricks to play the legal system as well. When I played soccer, I did believe in 'it ain't over till it's over' but this concept does not necessarily work for a small business. Sometimes when the writing on the wall is abundantly clear, it's better to cut the losses short and call it a day. It could be a defeat emotionally, but a true victory intellectually. Smart business owners understand there is better use of the R&D capital, rather than wasting it on fighting some crooks overseas. Alternatively, this could a boon or a silver lining to bring the business back home and try out a real engineer who is manifold smarter and inherently more ethical. 9. Tip of the Iceberg -- It's imperative that you keep the relationship strictly at the business level, meaning the vendor should be treated as a professional services vendor; anything more personal than that will cause trouble down the road. If the relationship becomes friendlier than that, one sunny morning you may get a call/email (one of those rare occasions!) from the principal of the vendor firm indicating (actual email quote follows), "I have got a personal medical emergency in my family, and looking to arrange [$$] ... If you could help me in providing [$$] I can arrange (to pay it) back before 10th of next month." This could be the tip of the iceberg. If you become emotional and fall for this type of ploy, it will be the end of your business relationship with them. Forget about the loan, they will walk away from all unfinished projects, leaving you in total lurch. Please be safe out there. It's not all that green on the other side! 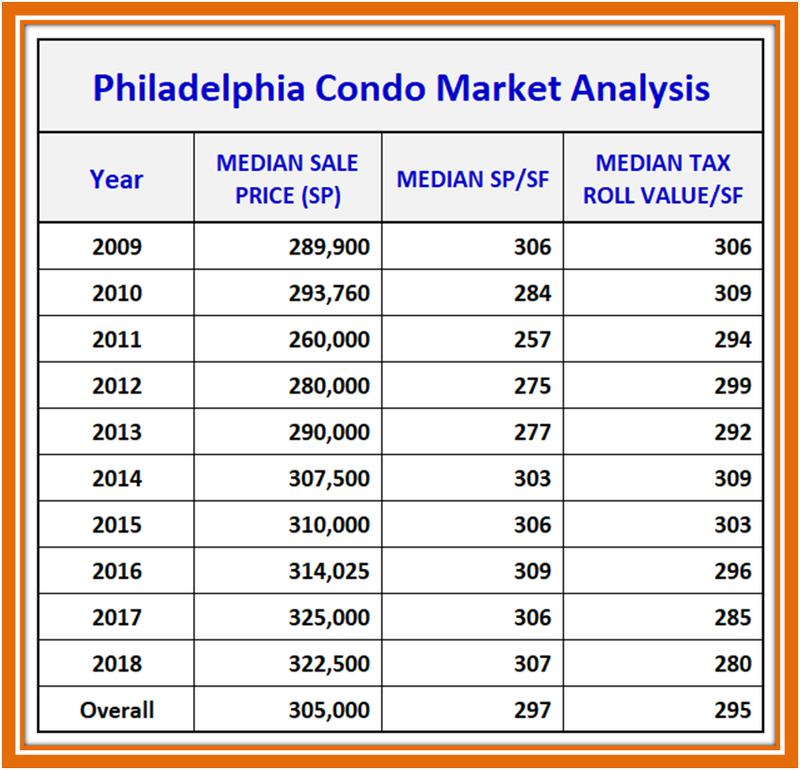 Comparable Sales ("comps") from the other side of a major artery or from the lakefront (if the subject is not) can be significantly pricier, thus improperly inflating the value of the subject property you might be interested in. 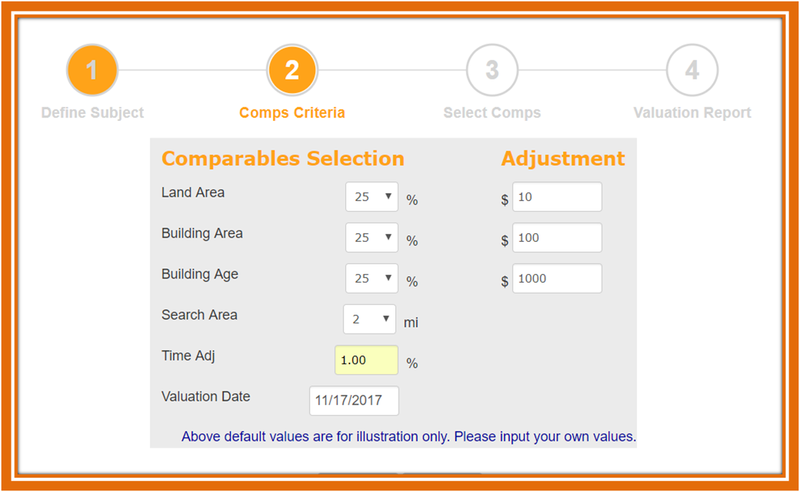 So, ask your real estate salesperson to show the comps, contributing to the valuation of the subject property, spatially (on the map)! The same idea is equally applicable to the existing homeowners planning to challenge their property tax assessment. 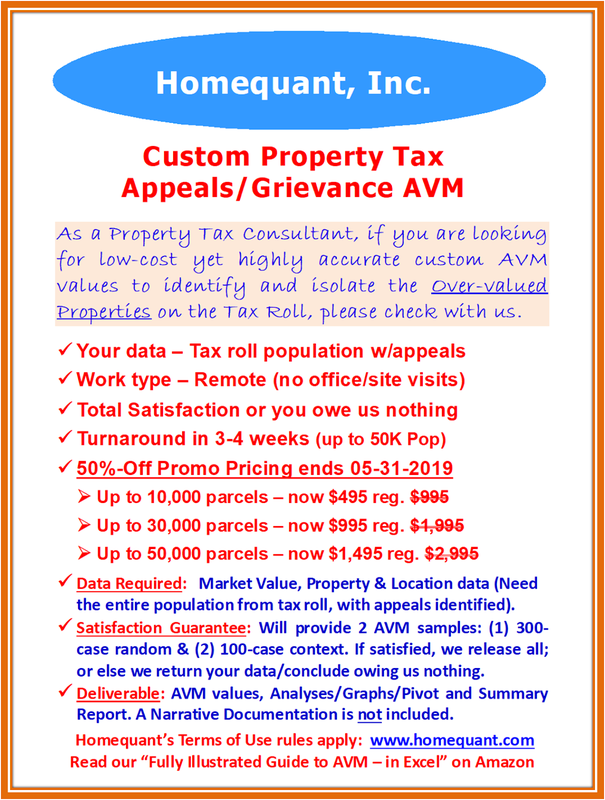 Ask your Tax Assessor to show the comps (that contributed to the market value leading to the assessed value of your home) on the map. 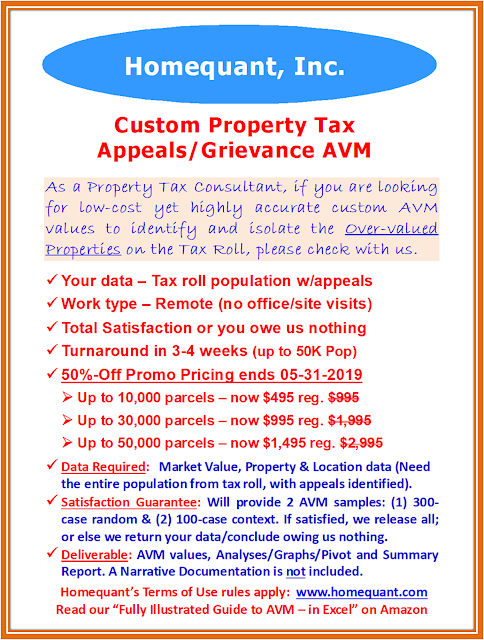 Since Assessors (of larger jurisdictions) heavily depend on Automated Valuation Models (AVMs) based on statistical algorithm, this is often a serious problem. If their valuation is strictly AVM-based, it would be difficult for them to decompose the valuation, comp-wise. Conversely, if you are shown the comps on the map, you could easily relate to them, leading to total or partial acceptance or rejection, nonetheless authoritatively. Comp #7 is lakefront while the subject isn't so it cannot be a contributing comp. Similarly, #1, 8 and 10 could come from an incompatible neighborhood, potentially skewing the valuation as well. I picked the spatial graphic from Homequant.com as I own and operate it, to avoid having to deal with any copyright issues. My Homequant site is totally self-directed (no modeled values), totally free (no strings), and requires no login or registration whatsoever. Please use the site/system that works best for you. A list of sales - by default - does not become comparable sales ("comps"). 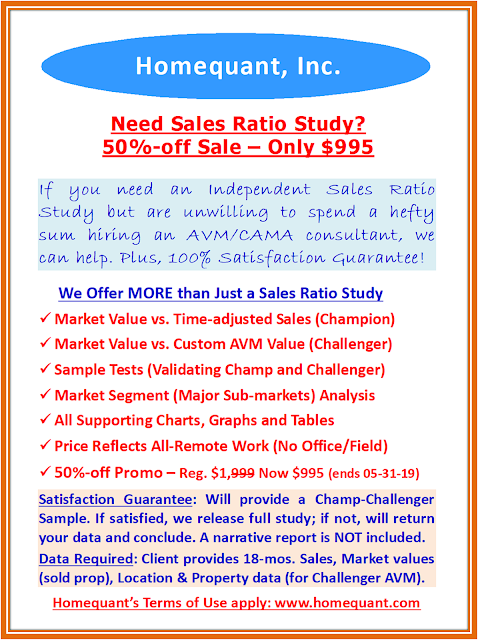 Sales - even when drawn from the same neighborhood - must be quantitatively adjusted for characteristics and time to become comps. Once adjusted, the differences in property characteristics, distance and time (01/2017 and 12/2017 sales are not the same) become irrelevant. So, always ask your Broker to show how the comps have been adjusted. 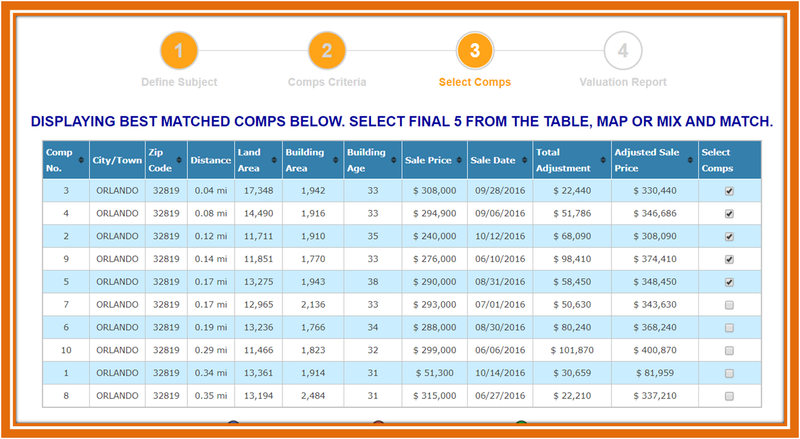 The above table shows that although these are the 10 best pooled sales to value the defined subject, they are quite different in terms of the distance, time of sale, size and age so they have to be quantitatively adjusted (using sound econometric parameters drawn from the local market -- explained at length in other posts), to be considered and accepted as comps, absent which they would remain as some random sales. Upon adjustment to the sales, the Sale Prices are replaced in the analysis by the Adjusted Sale Prices (ASP) of the comps, contributing collectively to the valuation of the subject. The Comps Grid here has been ranked by 'Distance' meaning the comp closest to the subject becomes the Comp #1. I picked the above graphics from Homequant.com as I own and operate it, to avoid having to deal with any copyright issues. My Homequant site is totally self-directed (no modeled values), totally free (no strings), and requires no login or registrations whatsoever. Please choose the site that works best for you. 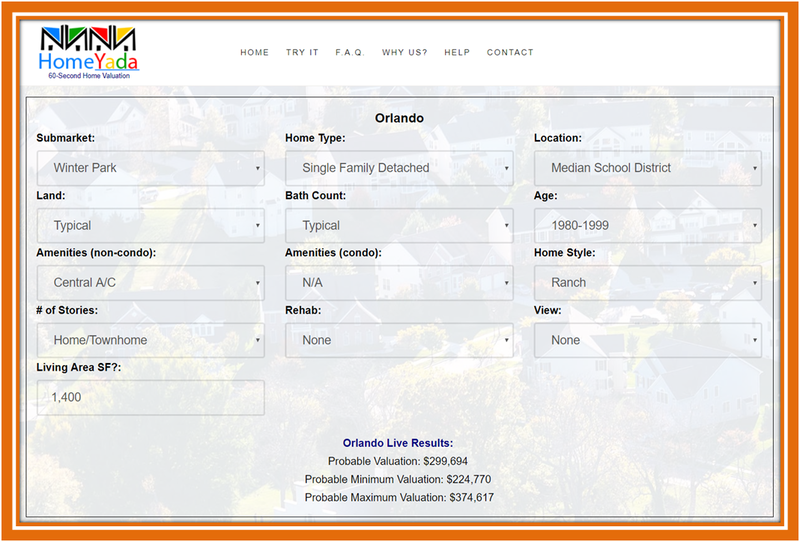 Once you zero in on a particular property you are interested in ("Subject"), compare the listed data (MLS or other listing services) with the County database (public record and available online). If they are at variance, call the Assessor's office and ask for an explanation. Land data could differ slightly as more and more public offices use GIS algorithms, while sellers/listing agents would extract the data from the original documents, potentially paving the way for limited discrepancies. Building SF and Year Built must be close, if not identical. 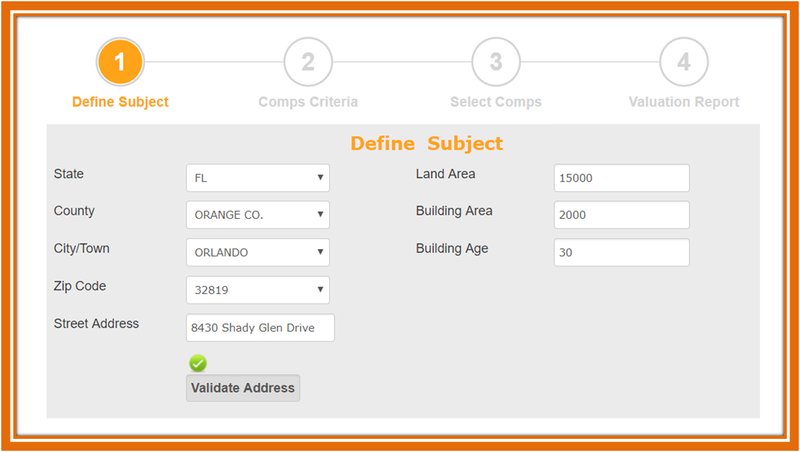 Comps criteria collectively is a function of the sub-market (greater neighborhood) the comps would be drawn from. In a very liquid market (with enough recent arms-length sales) the range could be tighter and vice versa. Since the comps must be similar to the subject in physical attributes, a set of selection ranges needs to be defined; similarly, adjustment rates are needed to equalize the differentials. For example, while the subject is 2,000, the comps could range between 1,600 and 2,400, thus requiring dollar adjustments. The 2,400 SF comp must be adjusted down to 2,000 SF while the 1,600 SF must be adjusted up, at the local replacement cost new($100/SF in the example). The rates could be significantly higher in expensive coastal markets while lower in rural areas. Since the comps database might comprise an admixture of older and newer sales (generally 12 to 24 months depending on the liquidity of the market), all comps must be time-adjusted to a particular valuation date, thereby making sale dates for the pooled comps irrelevant. 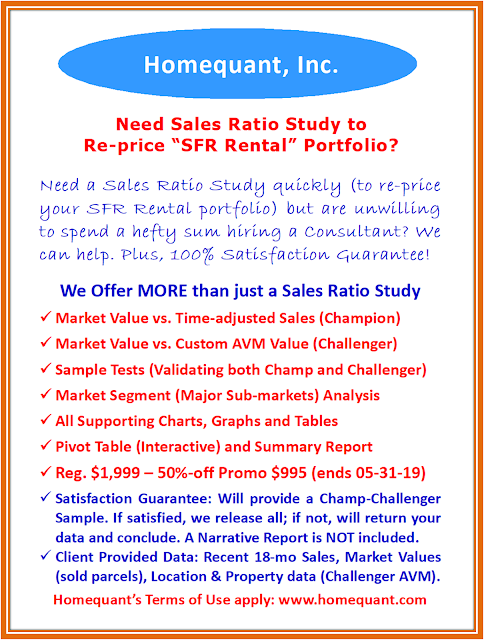 Once time-adjusted, there is no difference between two sales occurring in two different quarters. The sub-market in the above example did much better than its peers so an annual growth of 12% (1% per month) has been used to adjust all sales up to the valuation date. This piece of research (collecting the growth data at the sub-market level) is important. In a declining market, the adjustment would be negative meaning decay in value. Any quality market-oriented application would allow all three valuation dates: current, forward and backward. Based on the selection criteria set forth, most self-directed valuation systems will return a pool of up to 10 most recent comps, five of which will eventually contribute to the subject value. I am using the Homequant system as I own and operate it, to avoid having to deal with any copyright issues. These are Homequant system requirements (a pool of up to 10 and 5 comps to value a subject). You may find another system online with different scoring requirements (choose the one that works best for you). Assuming you have more than 5 (in our example, we got all 10), you have to evaluate them and choose the best 5. 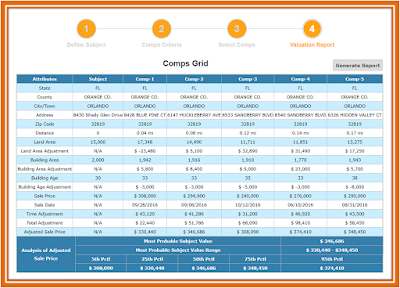 There are three most common methods to evaluate the pool: Distance (comps that are closest to the subject), Recency (most recent sales) and Least Adjustments (comps that require least adjustments, ignoring signs, that is, -2,500 and +2,500 are considered identical contributors). We chose the Distance method; in other words, we chose the 5 comps that are closest - in linear distance - to the subject. Of course, before you start the evaluation process, remove the two outliers, as a rule: the two comps with minimum and maximum adjusted sale prices; in the above example, comp # 1 and 10 are the two outliers. Again, removal of outliers is possible if the pool contains more than 5 comps. Notice that the lineup of the resulting 5 comps looks statistically meaningful. 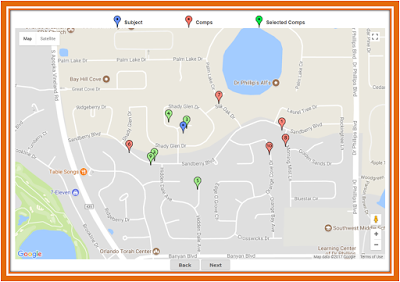 Irrespective of the evaluation methodology being chosen, comps must be simultaneously reviewed spatially, meaning reviewing the precise location of the comps on the map is equally important. The reason is simple: often, despite meeting the distance criteria, certain comps might come from incompatible yet contiguous neighborhoods. For example, since our subject is away from the lake, comps from the lakefront block (comps #7) would be inappropriate, although the distance criteria could have been met. Therefore, the spatial review of the comps is critical. 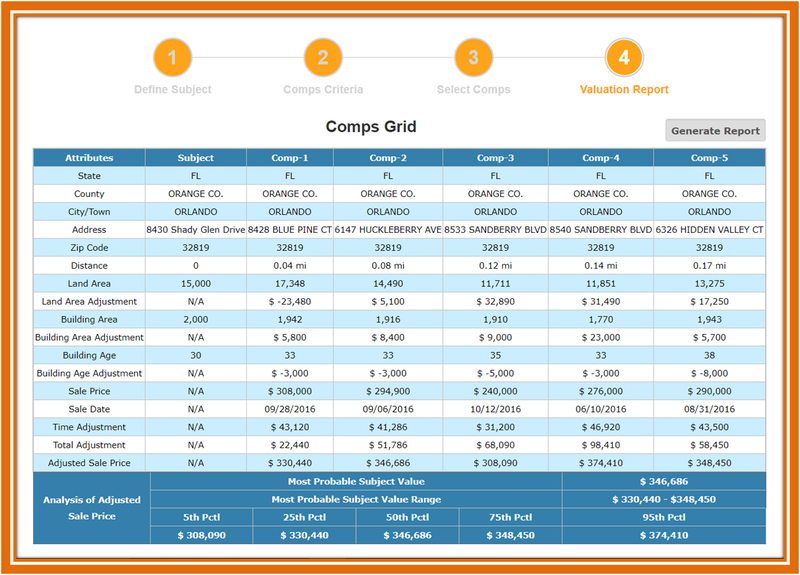 The final valuation picture is generally depicted via a tabular form called the Comps Grid. It's a line item comparative analysis of the subject vis-à-vis the final five comps that contribute to the subject value. It shows the neighborhood(s) they are drawn from, respective distances from the subject, property characteristics with dollar adjustments, and the sales complex including time adjustments. All of this collectively translates to the subject value. The most probable value is usually the median value of the adjusted sale prices of the five comps, while the most probable value range represents the statistical bound between the 25th and 75th percentile values. Of course, these parameters are specific to the Homequant system and may vary by the application or the target audience. For example, an alternative system that is geared towards the short-term investors might expand the probable value range to the 5th and 95th percentiles, thus revealing the potential short-term investors' entry and exit points. I picked the above graphics from Homequant.com as I own and operate it, to avoid having to deal with any copyright issues. My Homequant site is totally self-directed (no modeled values), totally free (no strings), and requires no login or registration whatsoever. Please choose the self-directed site that works best for you. 1. Sub-markets: All (socio-economically) prominent sub-markets within the market (say, Orlando) are generally supported, allowing users to toggle between sub-markets to evaluate and understand the variations in home values. 2. Home Type and Style: Home types (Detached, Attached, HOA, Townhouse, Condo, etc.) and styles (Ranch, Cape, Colonial, Conventional, Contemporary, Tudor, etc.) are important considerations for home-buyers so a good Top-down site incorporates them. 3. Location: A good school district tends to fetch a higher value than its counterparts with lesser known schools. 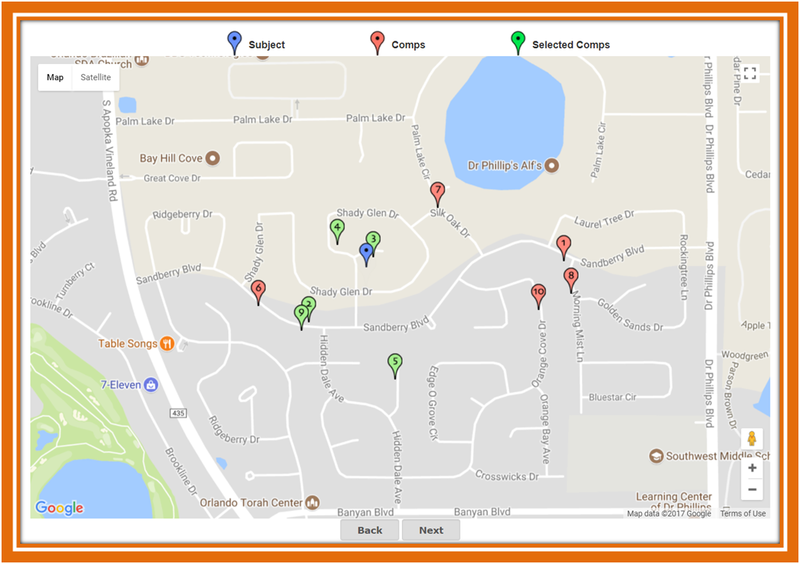 Good sites therefore allow users to understand how such qualitative factors quantitatively contribute to the home value. 4. land and Building Sizes: Users are allowed to educate themselves how the changes (increase/decrease) in sizes impact values within a given sub-market. Some sites would allow users to further differentiate between total improved area and heated area, corner lot vs. non-corner, etc. Bath count is also an important consideration as it helps understand if the home is optimized or a lifestyle one. 5. Building Age and Condition: Users can quickly learn how age and overall condition (including quality of rehab) impact values in a sub-market. Some sites might combine these two variables into one called effective age. Either way, these are important considerations in pre-owned homes. 6. View: A waterfront home could fetch significantly higher value than a non-waterfront one within the same sub-market. Similarly, a house with other enhancing views (park, bridge, skyline, golf course, etc.) could be pricier. 7. Amenities: Central A/C, In-ground Pool, Upgraded Porch, Tennis/Basketball Court, etc. often add value to homes so a good site would allow users to experiment with such options as well. John must be methodical in his research leading to the home buying. After a pre-qual of $300K, he has decided to focus on two Orlando-area sub-markets: Maitland and Winter Park. He finds a Top-down site which allows him to perform his research without having to work up some random comps. He realizes that while Winter Park has beautiful tree-lined streets, he gets more modern and slightly bigger homes in Maitland (a screened-in Pool could be a bonus). 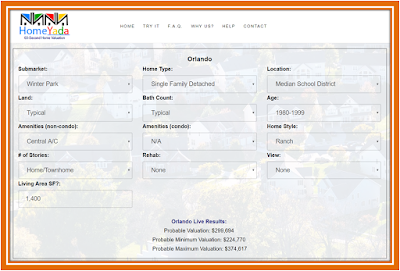 He is very happy that the site allows him to evaluate numerous possible combinations including location, type, size, style, amenities and view. He also notices that the site meaningfully curves values as home size increases. I picked the above graphics from Homeyada.com as I own and operate it, to avoid having to deal with any copyright issues. My Homeyada site is Mobile-friendly (no separate apps are needed), totally self-directed (no modeled values), totally free (no strings), and requires no login or registrations whatsoever. It has a built-in non-linear value curve/scale tied to the home size, as well. Anyway, please use the site/system that works best for you. How does an Investor Analyze a Condo Market? 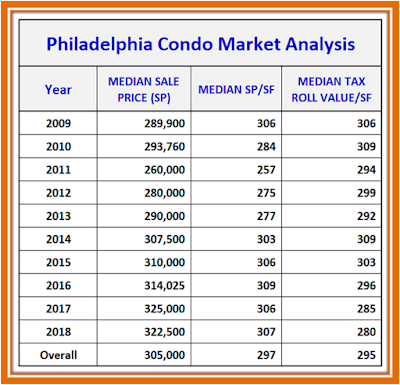 A Philly Case Study! 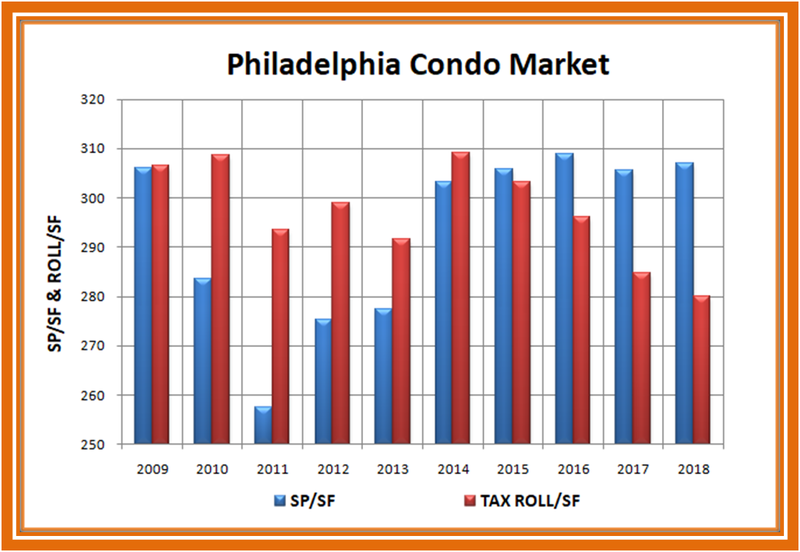 Since the condo market is often the leading indicator of the local housing market, investors try to take a little longer term view of the condo market. That is why I have shown (above) the performance of the condo market since the last recession. While the Assessor's office lagged in capturing the impact of the recession on the market -- Tax Roll Value/SF continued to front-run the market i.e. SP/SF until 2014 -- they have been on the defensive since the market peaked in 2016, meaning their values have been significantly trailing the market. Of course, one has to be careful in case of statutory fractional assessments, requiring value equalization to avoid having to compare apples with oranges. Needless to say, when the Assessor values front-run the market, they tend to encourage unnecessary appeals (of course, I do not know if this had occurred in this particular instance), thus forcing them to be on the defensive the next time around. Investors tend to follow the Assessor's actions closely while buying or selling portfolios. Obviously, the prospective sellers become a bit nervous when the tax roll values start to trail the market. Conversely, it makes the potential buyers more aggressive while negotiating. Again, a longer term perspective is critical.